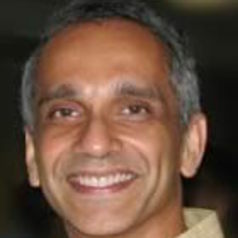 Krishna Jayakar is an associate professor in the Department of Telecommunications, teaching telecommunications management and media economics. He also serves as co-director of the Institute for Information Policy, housed in the College of Communications. His areas of research cover telecommunications policy and media economics, with a special interest in universal access to telecommunications. Jayakar is a past head of the Media Management and Economics Division of the Association for Education in Journalism and Mass Communication, and currently serves on the boards of editors of The Information Society journal and the Journal of Information Policy. His research has been supported by grants from the Pacific Telecommunications Foundation, the Time Warner Cable Research Program on Digital Communications, the Media Democracy Fund, and AT&T. He has received the Deans' Award for Excellence in Integrated Scholarship thrice, in 2016, 2013 and 2004. He received the 2002 Deans’ Award for Excellence in Teaching. Before joining academics, Dr. Jayakar was a research officer in India's Ministry of Information and Broadcasting, drafting research reports and position papers on media policy.